Purple Apples, originally written and drawn as an exquisite corpse online comic at MagnificentCreatures.com has gone to print due to it’s huge popularity. 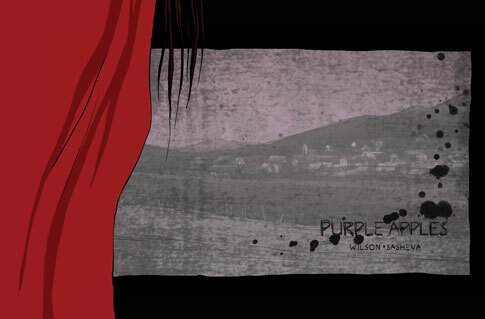 Purple Apples is about Jonny and his relationship with the mysterious Vanilla Bean, a mysterious hooded figure with blood on his hands. Order this book if you like twisted, dark fantasy. This entry was posted in Featured, Store and tagged dale wilson, dwap productions, exquisite corpse, iva sasheva, magnificent creatures, purple apples. Bookmark the permalink. Follow any comments here with the RSS feed for this post. Post a comment or leave a trackback: Trackback URL.